DWP 043: Women Are Looking For Something Different – Are You Different? Plus How Do Guys That Are Great With Women Think? 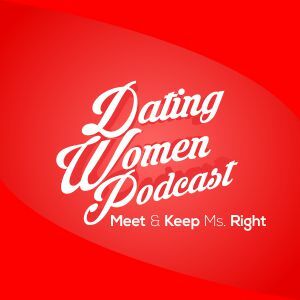 >> DWP 043: Women Are Looking For Something Different – Are You Different? Plus How Do Guys That Are Great With Women Think? *WOMEN ARE LOOKING FOR SOMETHING DIFFERENT – ARE YOU DIFFERENT? *WHAT DOES SHE MEAN WHEN SHE TELLS YOU THAT YOU’RE SETTLING FOR HER? *FREQUENT RESCHEDULING OF DATES? A PROBLEM? *ON DATE 5 SHE WANTS HIM TO COME OVER – WHAT SHOULD HE DO TO MAINTAIN CHALLENGE? *WHY DOES DOC WANT YOU TO WAIT 2 YEARS BEFORE MARRIAGE? *HOW DO YOU MAKE AN IMPACT ON DATE 1? *CAN YOU BUILD ATTRACTION WITH BLAND QUESTIONS ON THE FIRST DATE? *APPROPRIATE WAY TO BREAK UP WITH YOUR GIRLFRIEND? WANT MORE SEGMENTS LIKE THESE? You’ll get a special audio segment like you just heard and you get them weekly, access to over 100 articles and growing and access to over 150 hours of audio and growing. Take the free trial below NOW – you won’t regret it.